I love traveling whether that’s a day trip, weekend, domestic, or international – with so many details to settle before going on vacation, it helps to create a new bullet journal spread to capture some of the tasks and planning associated with trips. My travel style is really casual – I do a mix of planned events and casual exploration. My main goal for traveling is to re-energize and experience the heart of a place, which means I love wandering around and seeing what shows up. The handful of things I have to book ahead of time anchor my intention and my schedule, and then the rest leaves room for how I’m feeling that day, friends’ suggestions, or ideas from locals. My schedule in regular life is already so full, leaving me rushing from place to place (or, let’s be honest – I do a little bit of that to myself), so on vacation I make an intentional effort to have much more open time blocks. I begin with the big things, like nailing down the time frame and booking the flights and lodging. I have a lot of the confirmations in my email, so I don’t tend to write them out in my bullet journal for visual clutter purposes. If I need the information at my fingertips, like the address of lodging, I put it into a “post it” on my Google Keep app for quick reference (and Google Mapping). My other categories are packing and prepping. I don’t necessarily make packing lists that include what I consider staples (underwear, chargers, etc) but rather the one-offs that are specifically for this trip. I will often try to do things like hiking or a workout, so it helps to you know, have a sports bra for those kinds of things. If you have been following along you know I like to stick to the bullet journal function of rapid-logging, but under different categories. So that’s what I like about this layout – I leave the “Doing” section as a place to brainstorm possibilities for what I want to do, recommendations, etc. When I went to Boston I also had drawn out a little map of the neighborhoods around the area, and would note where the attractions were in order to streamline some of the travel time. Then, as plans get solidified, I add them into the left side. It becomes sort of a log and diary of what I do, as well as a log for expenses along the way. 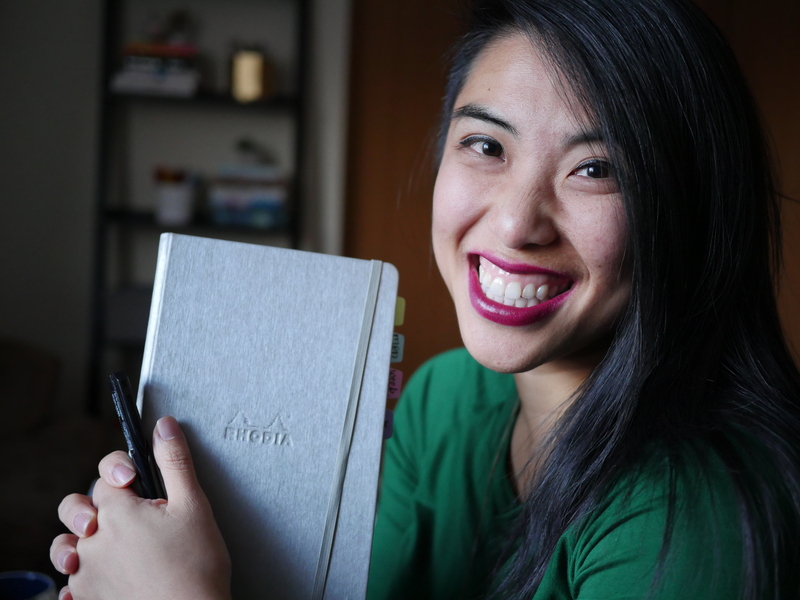 While I’m on vacation I don’t tend to have my full bullet journal set up with me – I don’t do tasks on vacation – but I do like having it with me because inevitably, on the last day, I get flooded with thoughts and things I have to do once I get home. So, I’m excited for this trip – any tips from you all?! I’d love to hear them in the comments! Hi Jess, great ideas and a nice record of a trip. I can see I am not using my BuJo full bore. It can be so much more. Thanks for the tips. As long as it helps you, I am glad to give some new ideas! Jess, this is such a timely post, because we are traveling to the mountains for the first time before Christmas. I am really nervous about going, but we all need it. I was getting ready to write out everything I have to do before we leave and when I got back, but never thought about writing what I want to do while I’m there! Thanks for bringing that to my attention – I do want to be intentional especially during this time of year. I started my bullet journal 3 months after my summer trip to Cancun this Summer, I cant wait to plan trips using my bujo! Oooh that’s going to be a great trip to plan!